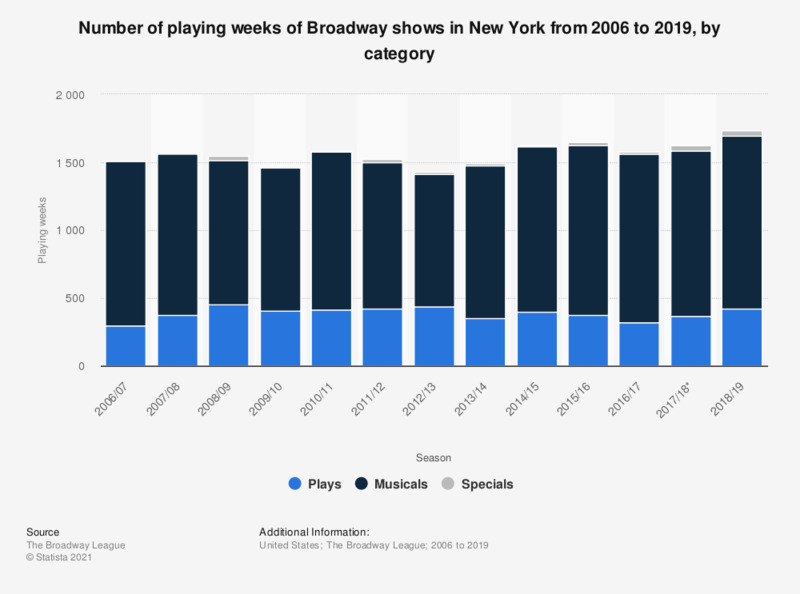 This statistic shows the number of playing weeks of Broadway shows in New York from 2006 to 2018, by category. During the 2017/18 season, the number of playing weeks of musicals performed on Broadway was 1,216. To account for variances in the calendar year, a 53rd week is added to the season every seven years. The 2010-11 season was a 53-week year. The 2017-18 season was a 53-week season.